Java applications, particularly Web Start applications such as the Desktop App, cannot launch on Windows systems using Kaspersky Internet Security. 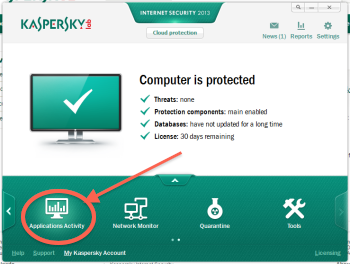 If the Desktop App cannot launch you can confirm Kasperksy is the problem by temporarily turning Kasperkey off (Settings, uncheck “enable protection”). Scroll to the Oracle section to see the Java components. The number of components will vary depending on your installation. You will see components such as “Web Start Launcher” and “Platform SE Binary”. 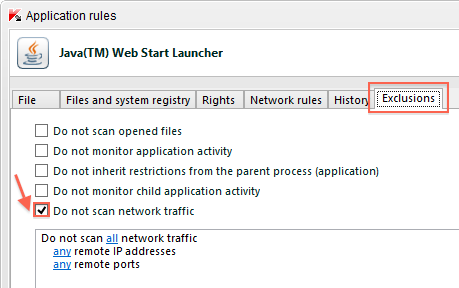 Select the “Exclusions” tab and check “Do not scan network traffic” and click OK.